After 50 years of manufacturing film and with digital virtually killing off the celluloid industry, Kodak is going retro and reviving the Super 8 film camera. Despite how good digital has become, it’s just not as good as the look of film, shot on celluloid and viewed on a film projector. For this fact (and likely as a last grasp to save the company) Kodak’s Super 8 Revival Initiative has kicked off at the 2016 CES show in Vegas. The idea being that directors and indie filmmakers can experience the art and craft of celluloid filmmaking. 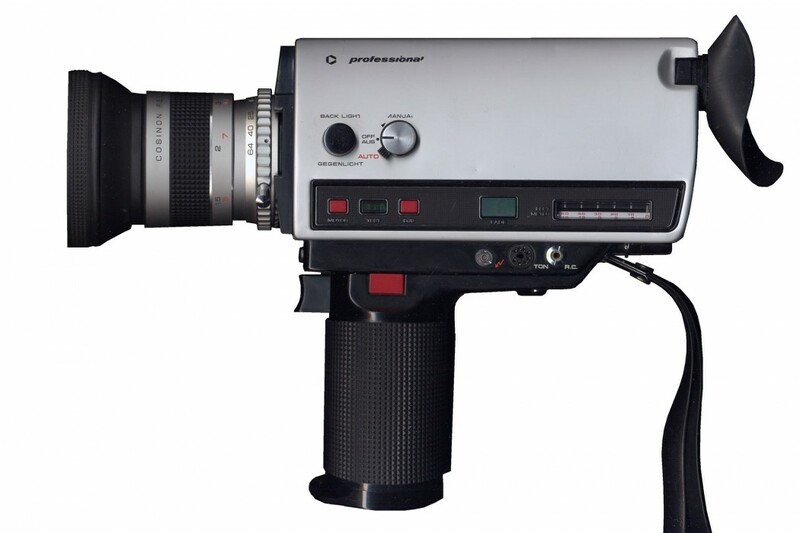 There may even be a few cashed up hipsters who would like to shoot some home movies, or their latest instagram video with an actual retro camera. The company has some big names in support, with Spielberg and a host of directors and Oscar winners backing the initiative. Christopher Nolan is a big fan of 8mm, at 7 years old, the director and producer began making short movies with his father’s Super 8 camera. “The news that Kodak is enabling the next generation of filmmakers with access to an upgraded and enhanced version of the same analog technology that first made me fall in love with cinematic storytelling is unbelievably exciting,” said Nolan. The other Steve McQueen with a 16mm Beaulieu R16 camera gaffer-taped to his helmet, during the shooting of the 1971 film ‘Le Mans’. It’s not an 8MM, but we still think it looks cool on there. Thanx to reader, Jean-Louis for pointing that out. The initiative goes beyond just the introduction of a new camera, with the company planning a range of cameras, film development services, post production tools and more. “It is an ecosystem for film” said Jeff Clarke, Eastman Kodak Chief Executive Officer. The first Super 8 camera planned for release is designed by Yves Béhar, founder of Fuseproject and will echo the look and feel of the original 1965 camera, with a few modern additions. “Kodak has always represented innovation that is approachable while delivering the craft of filmmaking. Our design aspires to express both these ideals. We are designing the Kodak Super 8 camera with robust materials and new ergonomic features to serve the needs of Super 8 fans, whether shooting action or static scenes,” said Béhar. If you’re at CES and dying to get a hands-on with the camera, then pop by the Kodak booth at the CES show (South Hall #20618), visitors there will be able to shoot their own Super 8 footage and watch home movies. Whilst at CES, we caught up with Kodak’s Global VP of Brand, Danielle Atkins to discuss the new Super 8 celluloid cameras, their features, the post-production process and how much you can expect to pay one. You can watch the interview below. 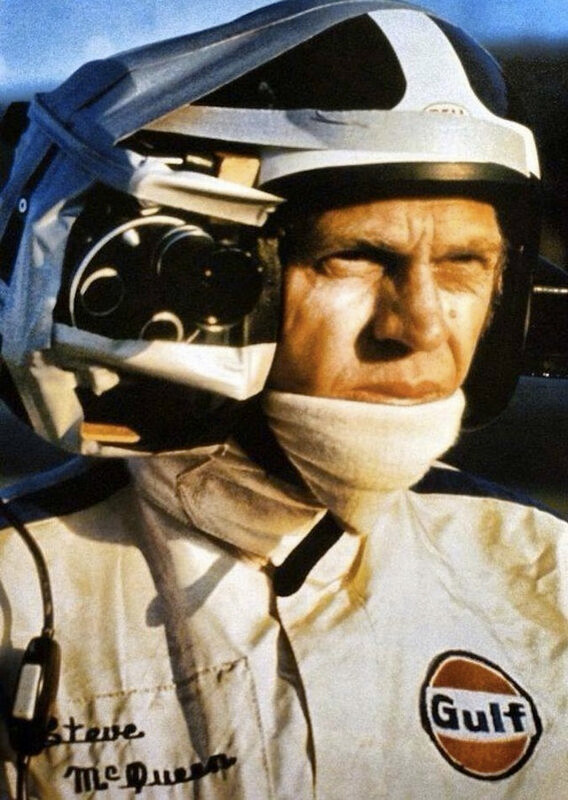 Sorry but that camera on Steve McQueen’s helmet is not super8 but 16mm, a Beaulieu R16 to be exact. Honestly, any excuse to put up that picture of Steve is a good one. But thanks for pointing that out, we’ll edit the article to show it’s not actually an 8MM camera.